FOR SALE: 19820 Graystone Ln in San Jose $1,100,000 – Build your own custom dream home at the top of Graystone Ln with spectacular views of Almaden Valley. A serene and private 1+ acres lot nestled on top of the hill awaits your design. Top rated/Blue ribbon Almaden Schools, Graystone, Bret Harte and Leland. Recent conceptual plans for development are available. Ample room for a pool and all other fun backyard amenities. CALL ME to arrange a private viewing. Had a home sit on the market for 3 weeks with little activity and then sold in 48 hours with multiple offers over asking price. Negotiated a long escrow to accommodate finding a replacement property for a seller. Explained the positives of a 1031 tax deferred exchange to an investor. Looking for a home with an “open floorplan” or “big backyard”? My website can do that too. Email me for these CUSTOM services. FORECAST: After the general slowdown was felt July came across as an absolute halt in sales. As we’re nearing the end of August I’m noticing people come back to the markets looking at properties, so I suspect sales will begin to pick back up. GREAT TIME if you want little competition on the home of your choice! If you are thinking about selling call me so we can discuss your specific situation. 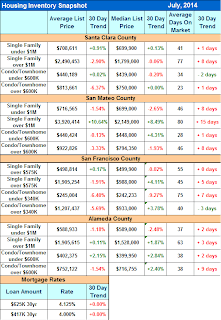 July had the largest number of homes not sell in over 2 years. I’m expecting August to be more in line with the regular trend. 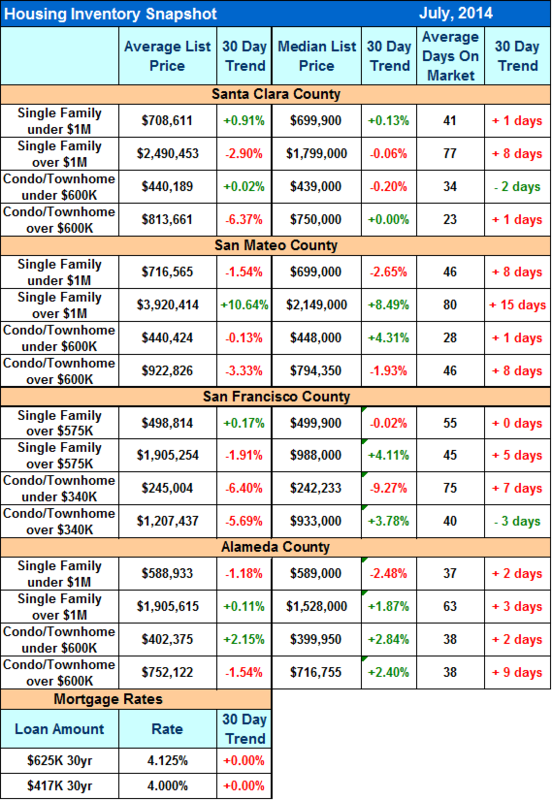 Oddly enough, San Mateo County didn’t experience the same slowdown in the markets. CALL ME IF YOU NEED ANY SPECIFIC INFORMATION.